Eating well, consistent exercise, more family time: the typical New Year’s resolutions that lead to a healthier, more satisfying life. But while these resolutions are certainly important and worthwhile, one aspect of wellness that often goes overlooked is the home environment. Between time at home and time at the office, most people spend over 95% of their lives indoors. And our surrounding environments undoubtably affect how we think, feel, and respond to other humans. 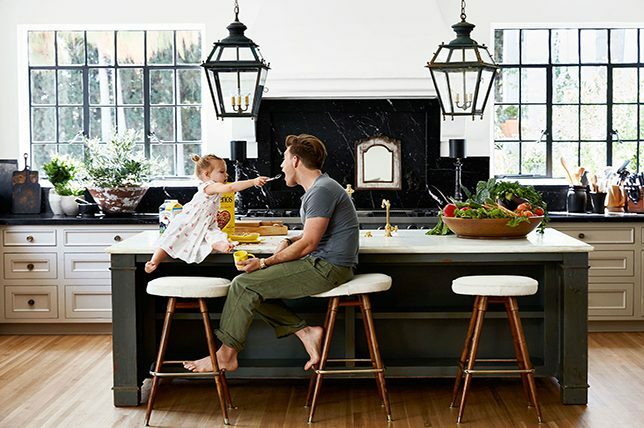 If you’re looking for ways to be well this year—without heading to the gym—switch things up a bit, and make a few adjustments that will drastically improve your home life in 2017. Before you hit the gym, before you make a salad, before you call your mother, the first thing you should do in 2017 is declutter. We all have too much stuff. Even the self-proclaimed minimalist in your life probably has at least one junk drawer full of used batteries. 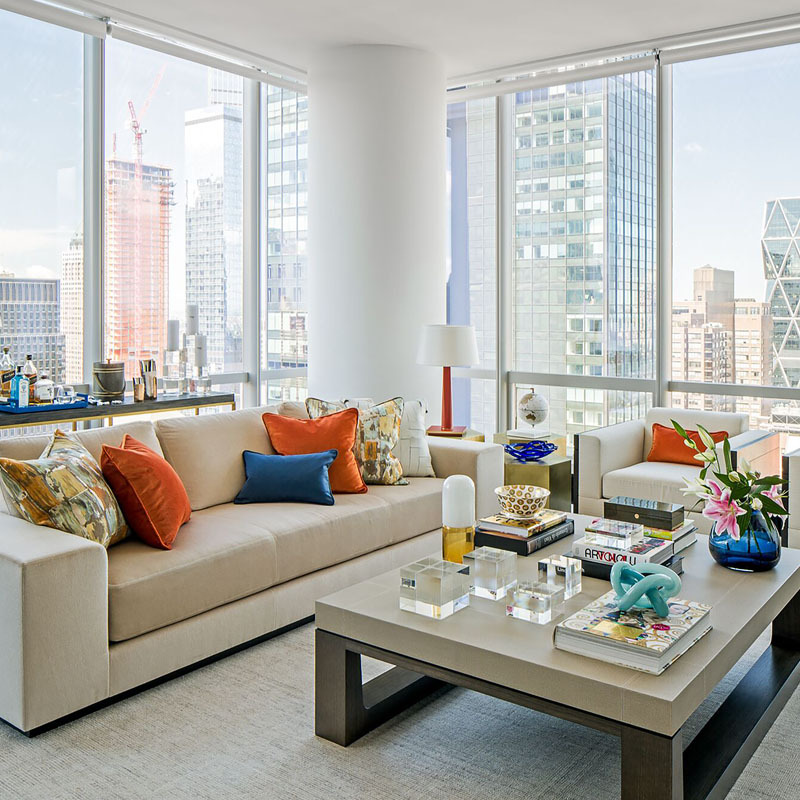 To declutter your home, try to find one piece of furniture in each room that you can either remove or downsize. Whether you donate it, regift it, or sell it, just get rid of it. 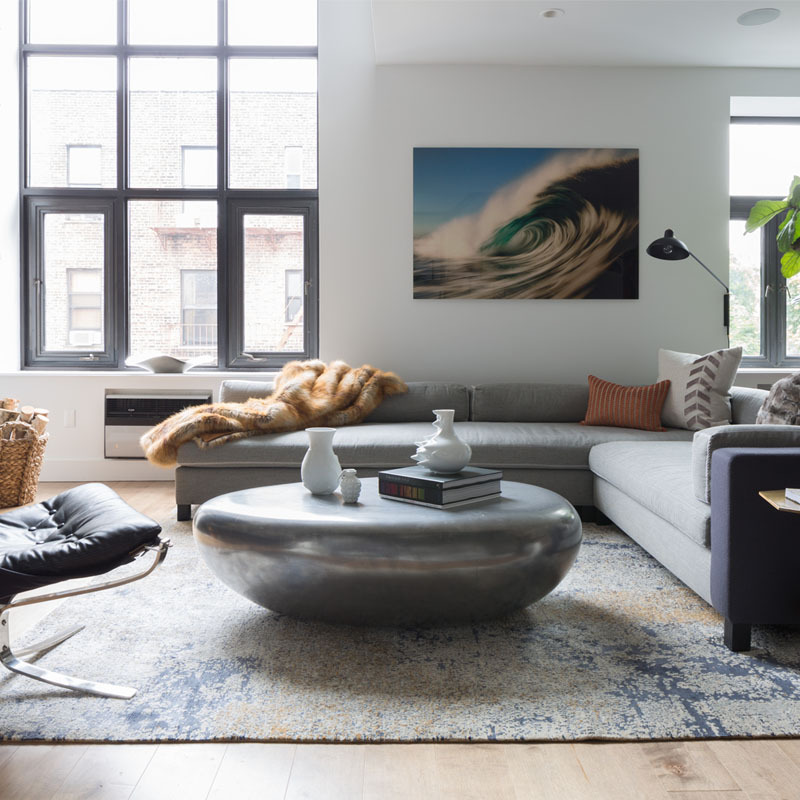 And once you’ve decluttered your home, check out our guide to rearranging your apartment with the furniture you already own. One of the easiest ways to improve your home life is to make sure that you’re receiving enough natural light. If you have an area of the home that feels a bit dark or cavernous, then consider a fresh coat of paint to start off the new year. 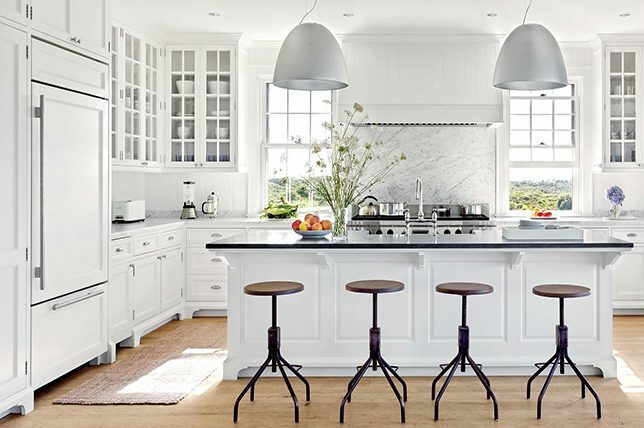 A semi-gloss grey, white, or pastel can significantly brighten your space. 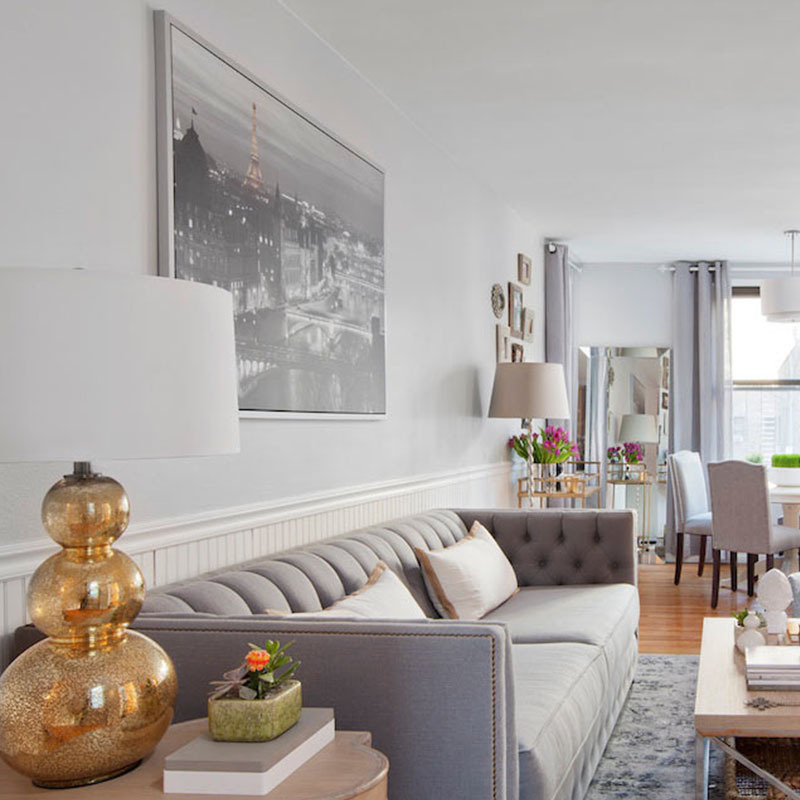 Check out the before and after images on this New York apartment to see the difference that a fresh coat of paint can make. Lighting and mood are inextricably linked. And being able to change the lighting in your home is an easy adjustment that can make a huge impact on how you’re feeling. So consider installing dimmers on your larger light fixtures. Dimmer lighting can help you create a more ethereal, relaxed atmosphere, while brighter more radiant light helps you focus and concentrate. 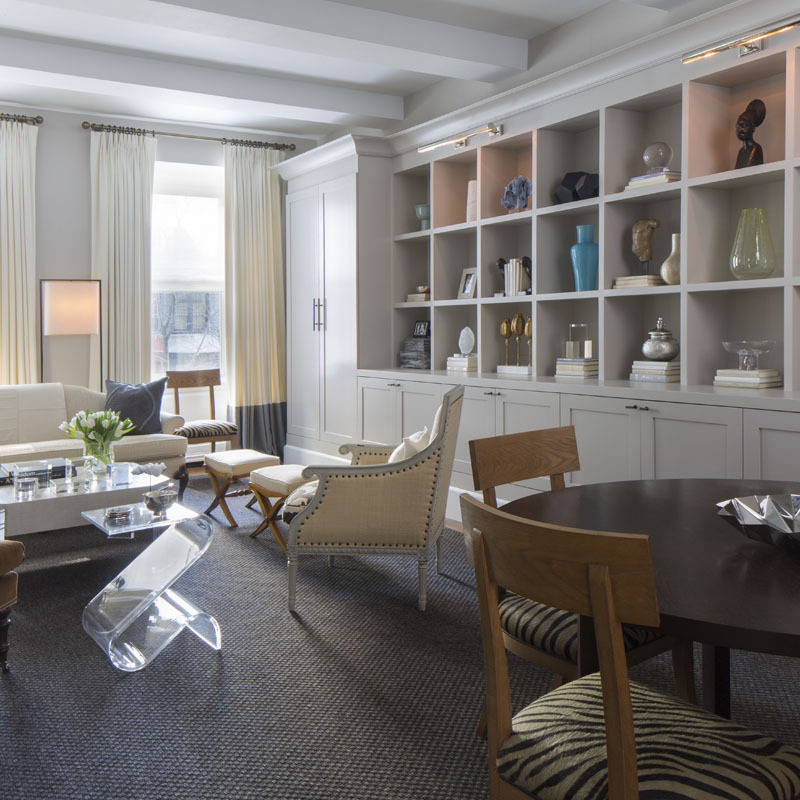 We installed dimmers throughout this SoHo duplex, to create a series of fluctuating moods throughout the home. If you’re looking for proof that lighting affects our habits and moods, then look no further than plant life. 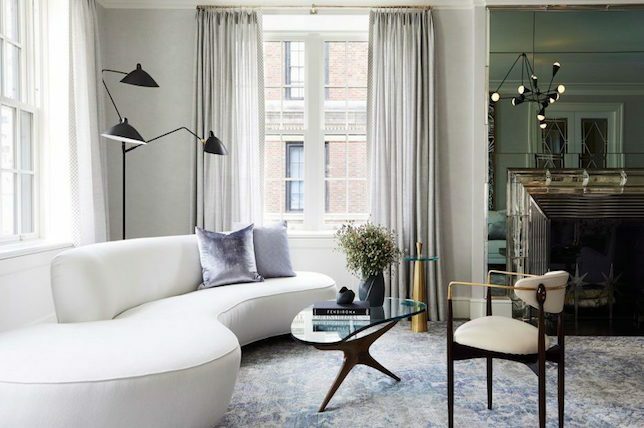 While we may differ from our green little friends, both humans and plants respond to surrounding light, and plants are a great way to give your home a wellness boost. Like sourcing furniture, go for a variety of plants, and feel free to mix up sizes, shapes, and styles. 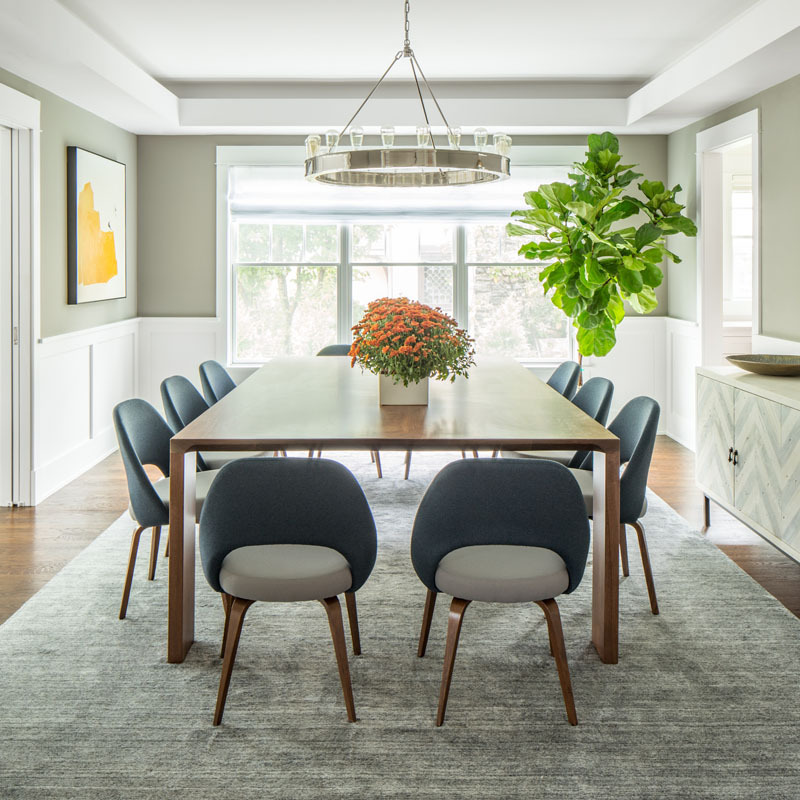 Check out how we placed plants throughout this Westchester family home. If plants are too high maintenance for your lifestyle, then consider decor that can provide similar affects without a time commitment. One of the easiest ways to decorate your home is to add in some art. 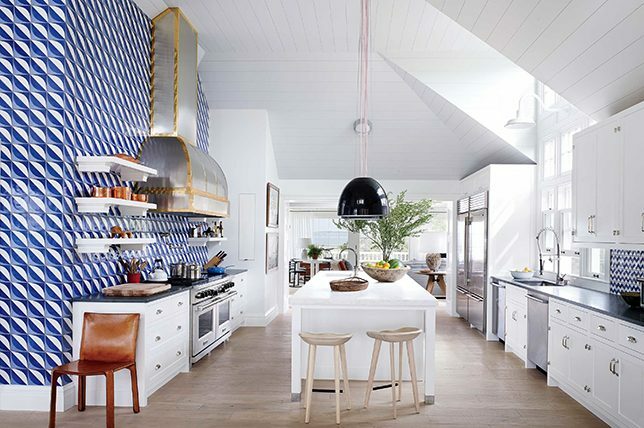 And spicing up your home with killer work doesn’t mean heading to an auction house. 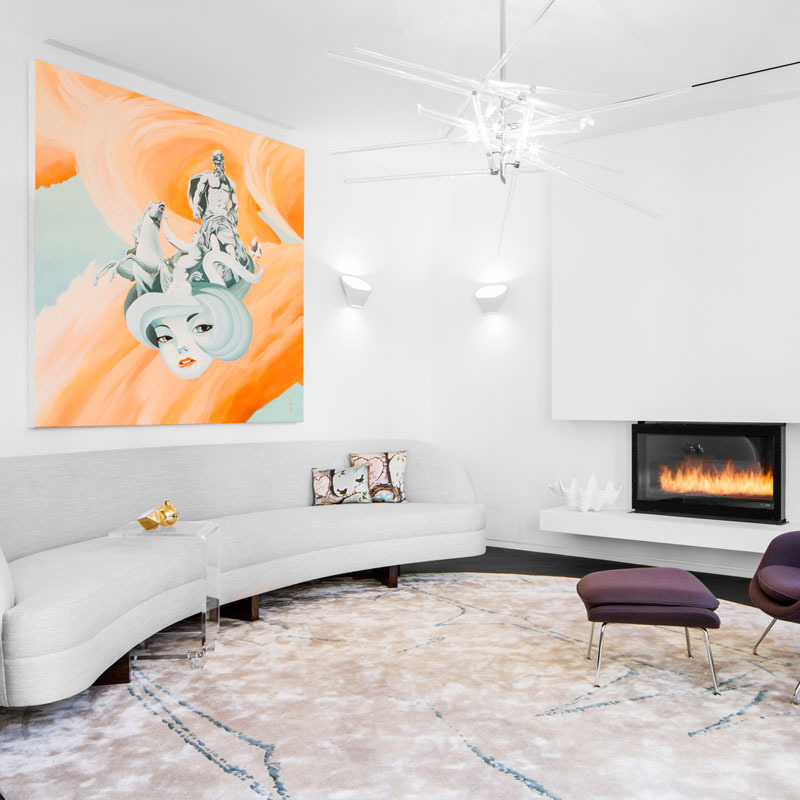 Whether you’re looking for something abstract, geometric, or representational, there are a plethora of services that allow you to purchase art online, at an accessible price point—Saatchi Art is a go-to for our designers. 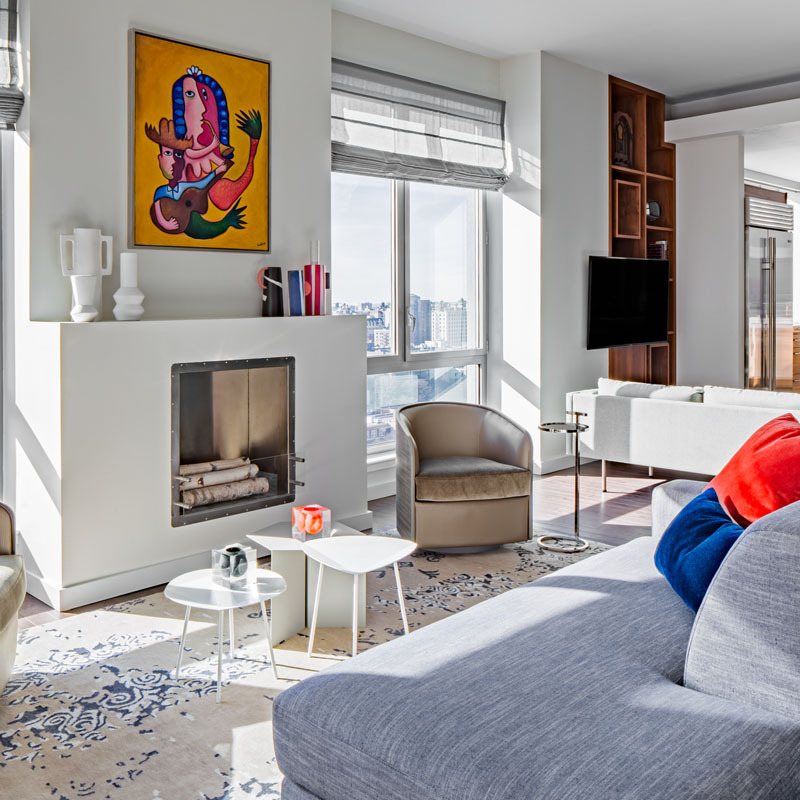 Check out how we filled this San Francisco Luxury Condo at the Four Seasons with colorful abstract pieces, for a modern, yet colorful and comfortable vibe. 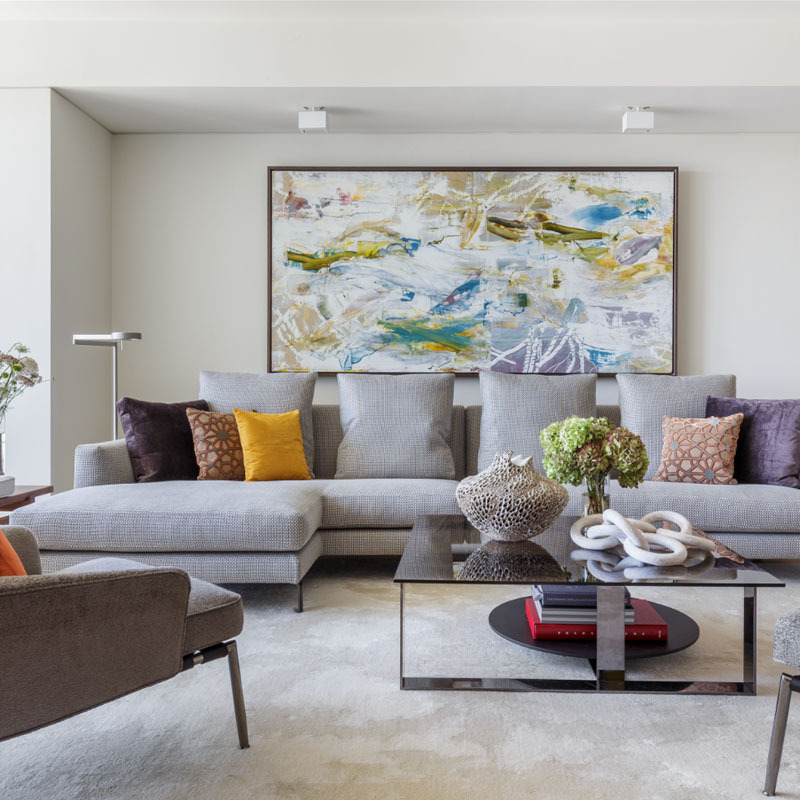 And if you’re looking for ways to bridge your new artwork and existing furniture, consider adding bursts of color into your home. 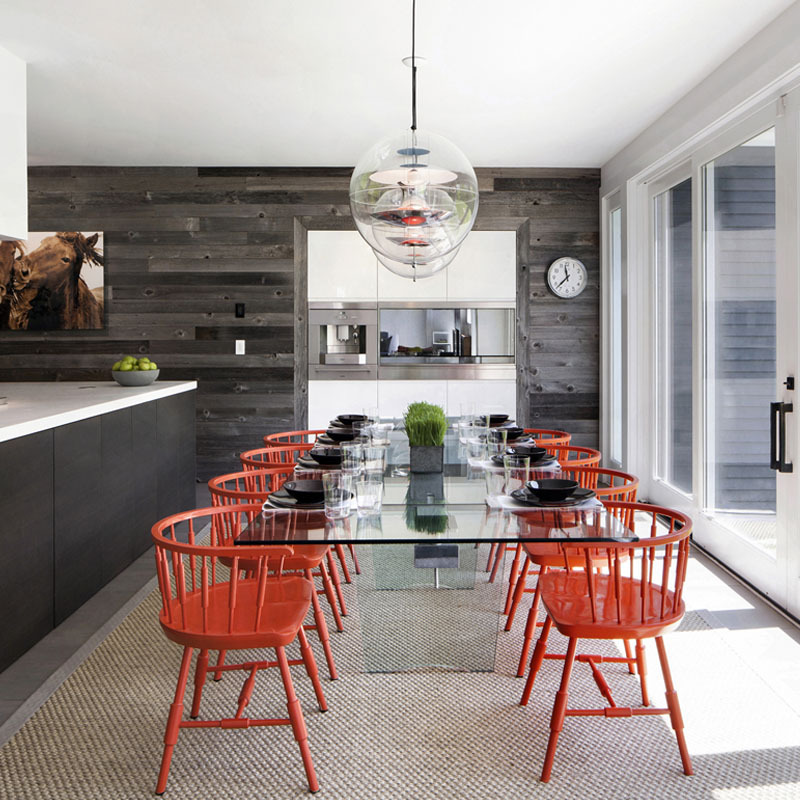 It not only creates a textured presence and palette, but can also help brighten your mood. An overload of color can be distressing and chaotic, but a single colorful object in each room can really pop against a neutral background. Take a cue from our Greenwich Estate Renovation, and sprinkle a bit of color in each room of the house.